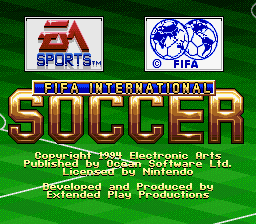 FIFA International Soccer is a 1993 sports video game developed by EA Canada's Extended Play Productions team and published by Electronic Arts. Based on the sport of association football, the game tasks the player with controlling a football team. 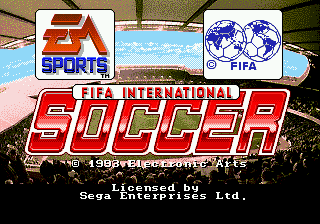 The game was released for the Sega Mega Drive console in December 1993 and ported to numerous other systems in 1994. 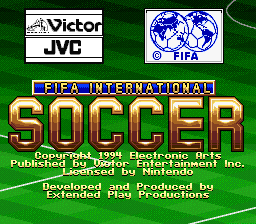 It was the first game in what would become the FIFA series of games. 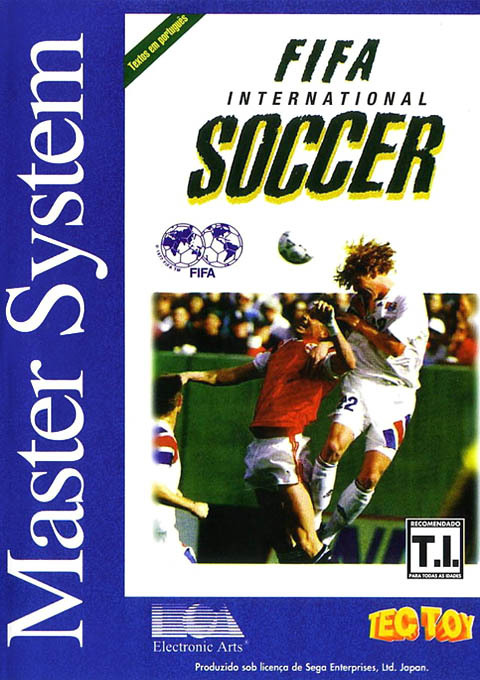 FIFA International Soccer is a video game that simulates association football, a sport in which teams of eleven players attempt to kick a ball into an opponents goal located at opposite ends of a field. In particular, the game is based on international football, which are matches that take place between teams representing a country. 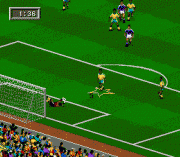 The game utilises an isometric viewpoint, unlike other football games at the time such as Sensible Soccer which utilised a birds-eye view or Kick Off which used a top-down view. 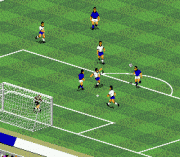 The player controls one of the eleven footballers on their team, with the ability to switch to control another footballer. 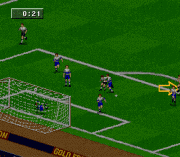 The game allows up to four players at the same time, each controlling a different footballer. The players can choose to control a footballer on the same team or on opposing teams. The remaining footballers are controlled by the computer. Four modes of play—Exhibition, Tournament, Playoffs and League—are available. Exhibition engages the player in a one-off match controlling a team of their choice against an opponent of their choosing. Tournament mode resembles the format of the FIFA World Cup, with the player controlling a team of their choice through a series of matches, starting with three group games with the possibility of progressing to four further games in a knockout format. Playoffs mode takes the same form, but skips the group games and starts at the first knockout game. An oversight by the developers makes it very easy to score a goal by standing in front of a goalkeeper when they took a goal kick, as the computer controlled goalkeeper will kick the ball into the player, causing it to bounce off into the goal.